Plan the perfect trip with our list of some of the best places to visit in Africa. The great continent of Africa is a playground of some fabulous destinations. It does not matter which country you are exploring, you are sure to find something fantastic to do in this beautiful continent. Today, we are going to break apart some of this travel season’s popular destinations when it comes to Africa. Although it is a little bit tricky because there is so much to choose from, we have narrowed down the top 13 best places to visit in Africa. What makes Africa so unique is the fact that the terrain here is so diverse. From dry plains to beautiful clear blue beaches to the golden Hills of the Sahara Desert. Africa has got a range of topographical locations for you to choose from. Not only have we listed some of our favorite locations, but we have a wide range of options for every type of traveler. We have listed some of our top locations including fabulous camel rides across the desert and lounging around beautiful beaches. If you are more into natural exploration, then there are amazing safaris and wonderful natural reserve parks to explore as well. Let's dive into our list of some of the top things to do and some of the best places to visit in Africa. If you are planning on exploring Africa, then one of the place places to start is in the north. The northern neck of Africa is home to so many wonderful countries that are just waiting for you to trek through. One of the top countries you should start with is Morocco. When it comes to many popular travel destinations, it is easy to see why Morocco consistently tops the list. With so many things to do in Morocco, it is no wonder why it is one of the best places to visit in Africa. Starting your journey in Morocco requires that you keep a couple of top locations on your itinerary. We recommend that you start at the top of the country. Here, you will find the iconic city of Casablanca. Casablanca offers visitors all the elements of Moroccan culture. From street cuisine to historical relics, Casablanca has got it all. Once you have explored Casablanca, you will need to make your way over to the popular city of Marrakech. Marrakech is home to the popular square that you have seen on nearly every Moroccan travel brochure. On the square, you can find everything from great street food to snake charmers. Not only that, but the shopping here is certainly impeccable. 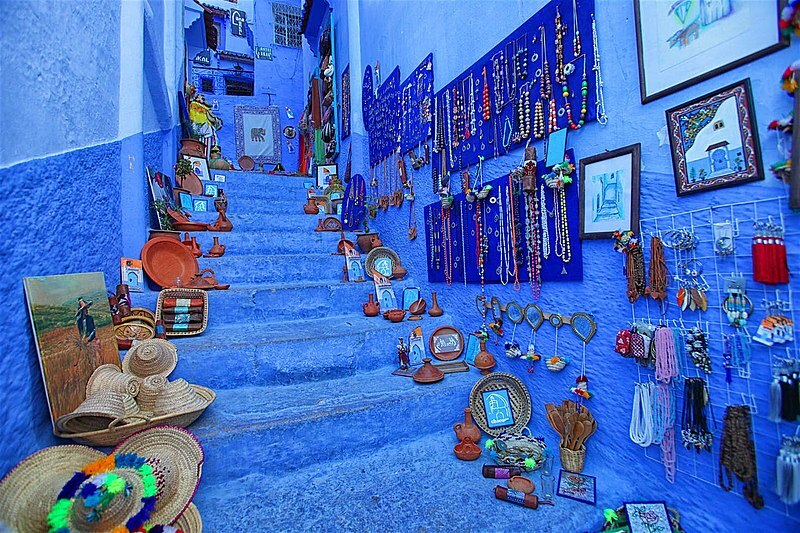 Another hot destination to visit in Morocco is the mesmerizing city of Chefchaouen. When you are in Chefchaouen, you can get lost in the aquamarine blue maze that makes this city what it is. If you are a travel photographer, then be sure to bring along your favorite camera. You will undoubtedly be snapping pics here. Once you are done exploring these fabulous locations, there are some other hot spots that you should not leave off your list. Other regions like the city of Fez and Oujda are home to Moroccan culture at its finest. In fact, these smaller cites are some of the best places to go to if you are looking for an authentic Moroccan immersion. While you are here, be sure not to forget about trying out some authentic cooked Tagine meals. These mouthwatering meals are enough to keep you wanting to extend your stay. If you are looking for more adventure, then the Atlas mountains can be a great place to go to. Everything from great hiking to even better skiing can be found here. The Atlas mountains certainly deserve to be recognized as one of the best places to visit in Africa. Egypt is another destination that makes for one of the best places to visit in Africa. For starters, Egypt is the perfect country to fall in love with. It is home to some of the old world's most iconic landmarks. When you are here, you must absolutely start by visiting the popular city of Cairo. Cairo is the premiere city as it is home to so much history for you to sift through. Of course, your next destination will have to be the Sphinx and Giza. 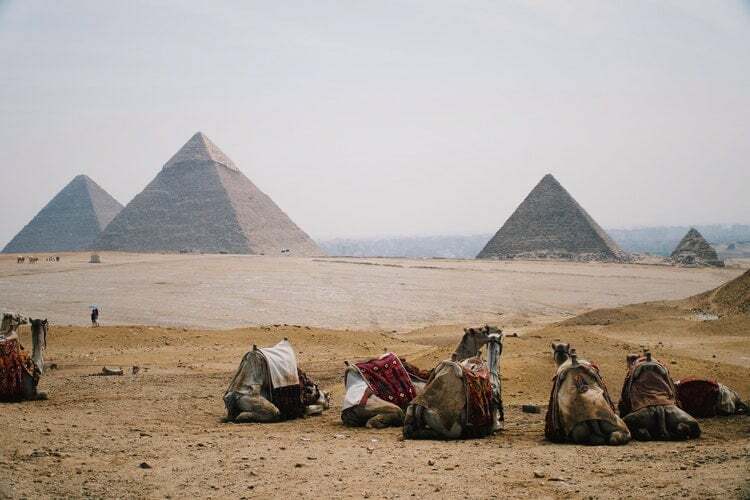 There is no other site in the world quite as iconic as the Egyptian pyramids here. Walking through them and seeing them in their glory is something that you cannot miss out on. In fact, many travelers will tell you that strolling through the pyramid is simply one of the best places to visit in Africa. Once you are done getting lost in the past, you must make room to explore the wonderful Egyptian culture. Everything from wonderful hospitality to great food can be found in Egypt. This colorful, warm and inviting culture will undoubtedly be the highlight of your time here. Be sure not to leave this iconic Nation off your itinerary when you are traveling through the north. Without a doubt, Egypt is easily one of the best places to visit in Africa. If you are a travel photographer, this is the place you want to be. The beauty that surrounds you once you get to the pyramids is certainly jaw dropping. You can snap some really great photos that are absolutely worthwhile. Be sure however to pack along just what you need when it comes to your photography equipment, however. Packing along too much can be daunting due to the fact that the climate is rather hot. You need to keep in mind that you will be lugging it around all day in the open desert. For drone lovers, be advised that you may not be able to fly your drone here due to recent restrictions as well. Overall, all that is not too much of a downside. After all, this is a destination you want to experience wholeheartedly, not just behind the lens. If you are a travel photographer, this is the place you want to be. The beauty that surrounds you once you get to the pyramids is certainly jaw dropping. You can snap some really great photos that are absolutely worthwhile. Be sure however to pack along just what you need when it comes to your photography equipment however. Packing a long too much can be daunting due to the fact that the climate is rather hot. For drone lovers, be advised that you may not be able to fly your drone here do to recent restrictions as well. The Sahara Desert is one of the most magical geographic locations on Earth. There's nothing more mesmerizing than the endless scenery of golden sand dunes. This unique topography is what has earned it the label of one of the best places to visit in Africa. You have a couple of options when it comes to visiting the Sahara. Because it spans a couple of countries, you will want to figure out the best way to incorporate it in your travels. While you can certainly make a solo trip out here, we recommending stopping by the Sahara once you are done exploring Morocco. Some neat activities that you can look forward to here include the ever popular camel ride through the desert. Riding a camel through the desert makes for an incredible experience that you are certain to never forget. And of course, we wouldn't be doing our job if we didn't encourage you to take a selfie or two. Snapping some photos of this beautiful destination will help remind you that it was indeed a reality, not just fiction. If you are lucky, you might even get the opportunity to meet a family who will invite you over for dinner while you are in the Sahara. Many nomadic people set up a home base while trekking through the Sahara. This could be a really neat experience if you have the opportunity to dine with a family or two. 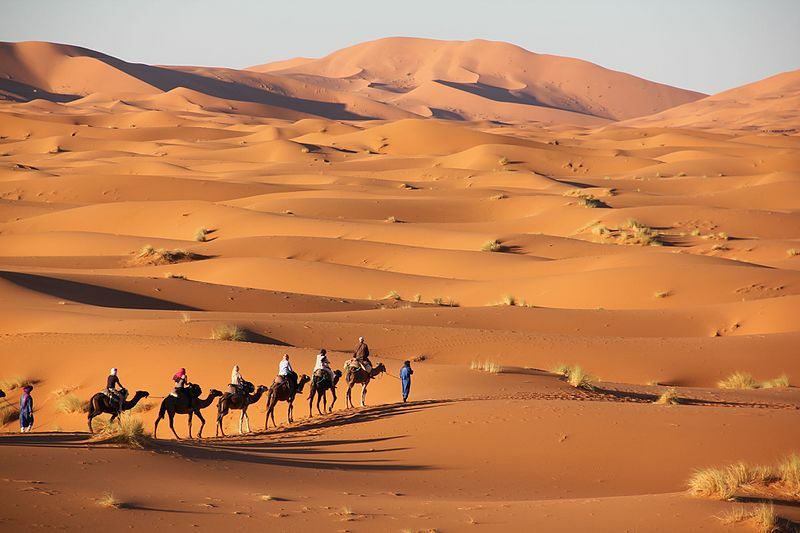 Without a doubt, trekking through the Sahara is easily one of the best places to visit in Africa. Be sure not to leave it off your list. This next destination is perhaps one of the most underrated locations. However, if you ask any traveler who has been here, they will tell you that Zanzibar is easily one of the best places to visit in Africa. What makes Zanzibar unique is the fact that the culture is a beautiful medley of those surrounding it. Here, you'll find architectural influences of Middle Eastern, Moorish, and Indian descent. Because of this mixture, you will also find that the people who call Zanzibar home have a rather unique understanding of these cultures as well. This has allowed the people of Zanzibar to be some of the most open minded and friendly human beings. One of the most beckoning features of this archipelago is the fact that the beaches here are simply serene. The crystal clear blue waters are simply out of this world. In fact, many locals would be quick to mention that the beaches here are perhaps one of Zanzibar's best kept secret. However, exposure has slowly enabled the world to know the beauty of Zanzibar. When you are coming out to explore the beaches, be sure to stay for at least a day or two so you can truly soak in it's magic. 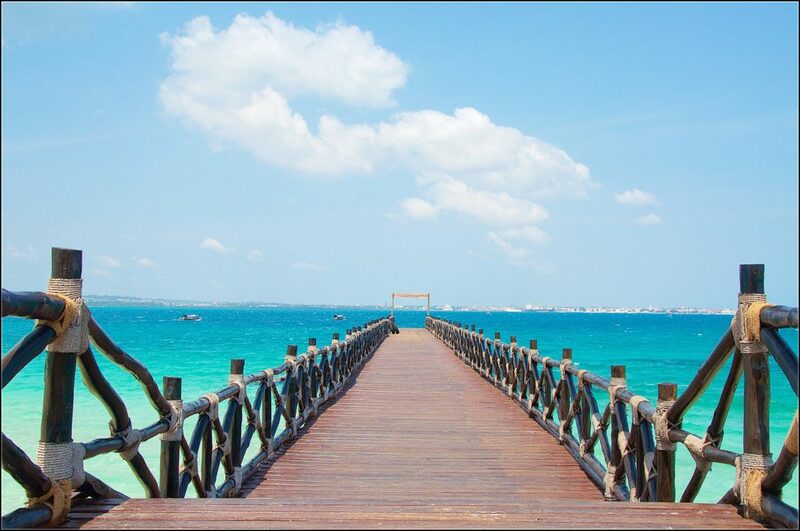 Once you are done lounging around on the beach, be sure to make your way over to the capital city of Stone Town. Stone Town is home to some of the countries best museums. These historical museums will take you back in time. Here you will have an in depth understanding of how Zanzibar came to be. You also get to you experience the unique background that is helped shape this majestic country. The wildlife here in Namibia is something so exquisite that it easily ranks as one of the best places to visit in Africa. What makes Namibia so wonderful is the fact that it is home to Etosha National Park. Etosha National Park is the second largest game reserve in Namibia. This park is home to some of the most beautiful wildlife that you have ever seen. Some of the wildlife you can expect to encounter here include zebras, lions, and the majestic giraffes. What makes this game reserve so beautiful is the fact that the animals here are undisturbed in their natural habitat. You will truly get to see them in all their glory. In addition to that, this game reserves takes visitor accommodation seriously. In fact, there are three different rest camps that you can hunker down in. These rest camps will allow you to see the majestic creatures here in absolute comfort. When you do arrive, you will want to make sure you bring a couple of things with you. Sunscreen is a must in order to avoid the scorching sun here. Not only that, but bring along a pair of binoculars to see the wildlife off in the distance. This will allow you to witness them without disturbing them. Finally, be sure not to forget about bringing your camera. The Etosha National Park makes for a great photo opportunity to get some stunning shots of animals in their natural habitat. When you are done gawking at the wildlife here, be sure to make your way over to Fish River Canyon. Fish River Canyon is located in the south of Namibia and is one of the world's largest canyons. When you do visit it, you will immediately be taken aback by it is sheer beauty. The beauty of this popular destination is what has ranked it to be one of the best places to visit in Africa. When you get to Fish River Canyon, you will need to plan accordingly. For example, thanks to the many hikes and trails, it would be in your best interest to bring along a pair of hiking shoes. Not only that, but you also want to bring along your favorite water bottle. Exploring the canyon can get exhausted and will leave you dehydrated. Be sure to pack and plan accordingly so that you do not get beaten down by the trail. If you love relaxing by the ocean, then this next destination is one of the best places to visit in Africa. Praslin is the second largest of the tropical islands that make up the SeyChelles. Although it is a little bit trickier to get to, it is indeed a destination to keep on your list. This island is located right in the heart of the Indian Ocean. Once you do get here, you might as well believe that you are in a tropical paradise. Essentially, everything from the water to the beautiful jungle will have you thinking so. Because of its seclusion, there are not many resorts or attractions to choose from. This is certainly not the destination to go to if tourism and developed islands are what you are looking for. Primarily, you will find two main attractions on this tropical getaway. There is the beautiful Anse Lazio as well as the Valley de Mai Natural Reserve. If you are looking for a stunning beach, then you will want to go over to on Anse Lazio. Here you will find incredibly stunning waters that are perfect for relaxing in. Not only that, but this is considered one of the best places to go to for some stunning snorkeling. On the other hand, if you want to explore the magic of the land, then the Valley de Mai Natural Reserve is your destination. This natural reserve will take you on a trail through the tropical forest here. It is in this forest that you will find the many reptilians and jungle animals that call the forest home. Overall if you are looking to get away on a tropical secluded island, then Praslin is definitely one of the best places to visit in Africa. Botswana is another popular destination that is totally underrated. However, if you ask any traveler, they will tell you that Botswana is easily one of the best places to visit in Africa. Botswana is home to the iconic Okavango Delta. The Okavango Delta is where the basin of the Kalahari and the Okavango river meet. The Basin is mesmerizing for a couple of reasons. For starters, the water here nearly always has wildlife surrounding it. The wildlife here is simply some of the most beautiful to observe. The wildlife alone is reason enough to come out and explore this beautiful delta. There are a couple of ways you can go about your journey here. 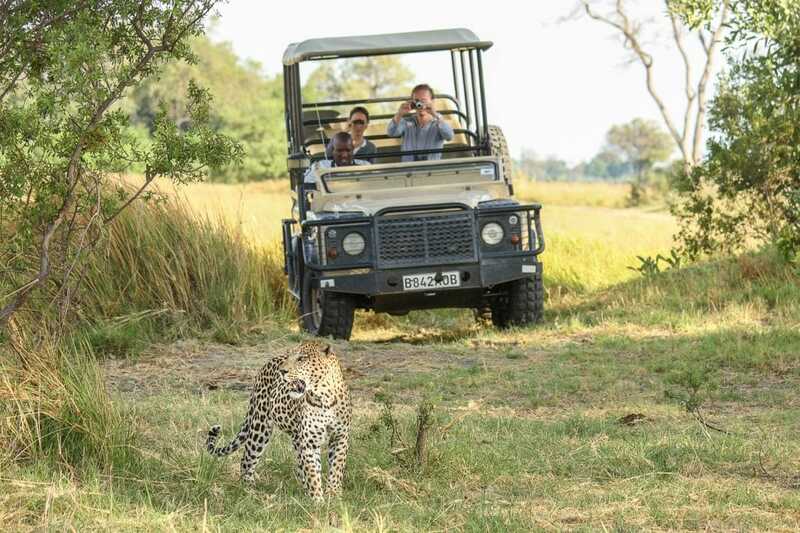 For starters, one of the best way to see the wildlife here is by going on a safari. Plenty of safaris are offered by local tourist groups here. In addition to that, you can also take an aerial tour via helicopter. An aerial tour will show you views of the Okavango like no other. Overall, visiting the Okavango river in Botswana is easily one of the best places to visit in Africa. What makes Tanzania one of the best places to visit in Africa is the fact that it is home to an iconic landmark. 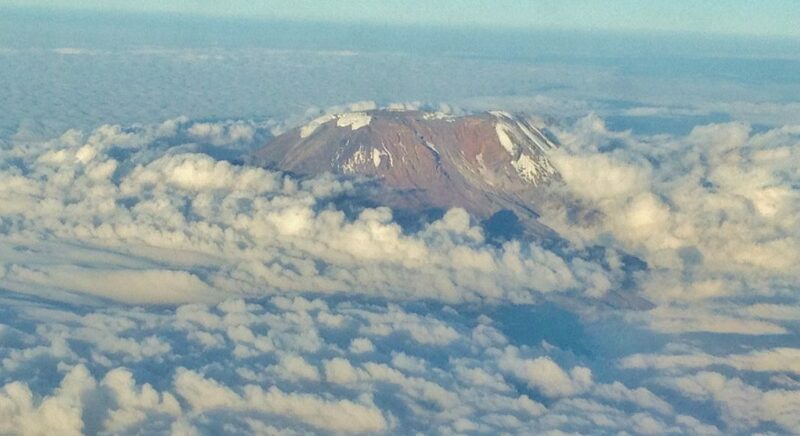 This landmark is the popular Mount Kilimanjaro. Mount Kilimanjaro is a stunning landmark that dominates the skyline of this natural plains area. There are many reasons to rave about this iconic mountain. Currently, it is considered to be the mountain with the tallest peak in Africa. Not only that, but it is also the tallest free standing mountain in the whole world. 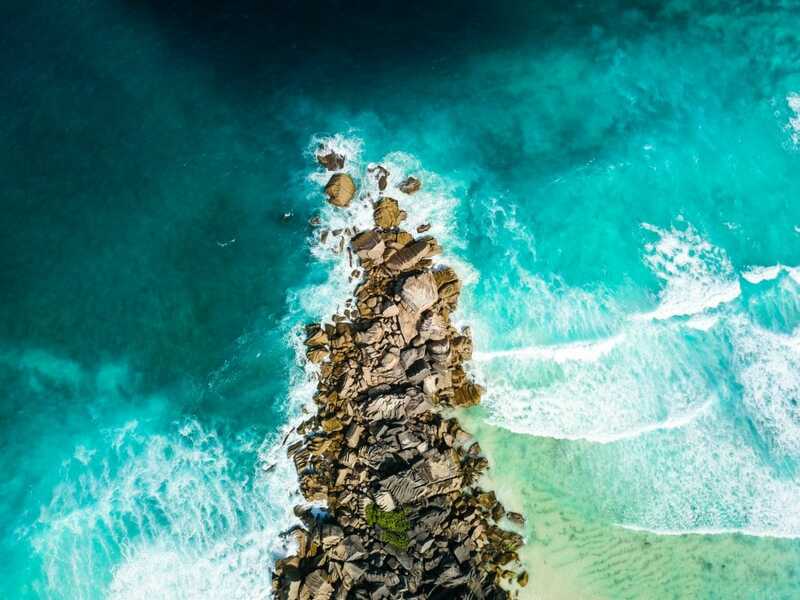 These defining features are what make it one of the best destinations to include on your travel bucket list. Before we go on, you must answer the question that we know you are thinking. Yes, you can climb to the top of Mount Kilimanjaro. However, this climb is not for everyone. You must be an above average athlete who is incredibly fit. Not only that but you must make sure you are traveling with the right gear. If you are not sure whether or not climbing Mount Kilimanjaro is something you can handle, no worries. What makes this one of the best places to visit in Africa is the fact that there are other trails you can take advantage of. Shorter an easier hiking trails are available for you to explore the mountain. As you hike this magnificent mountain, you must keep an eye out for some of its majestic waterfalls. Of course, in addition to that, there are some beautiful views that you can expect to find as well. Even from the base of the mountain. Without a doubt, visiting Tanzania and exploring Mount Kilimanjaro is easily one of the best places to visit in Africa. Cape Town, South Africa is perhaps one of the most popular destinations right now. After all the popular Trevor Noah did help brighten the spotlight on this now popular destination. Along with that, the number of tourists who flock here each year is what has allowed it to propel into one of the best places to visit in Africa. The City of Cape Town is a rather unique one. 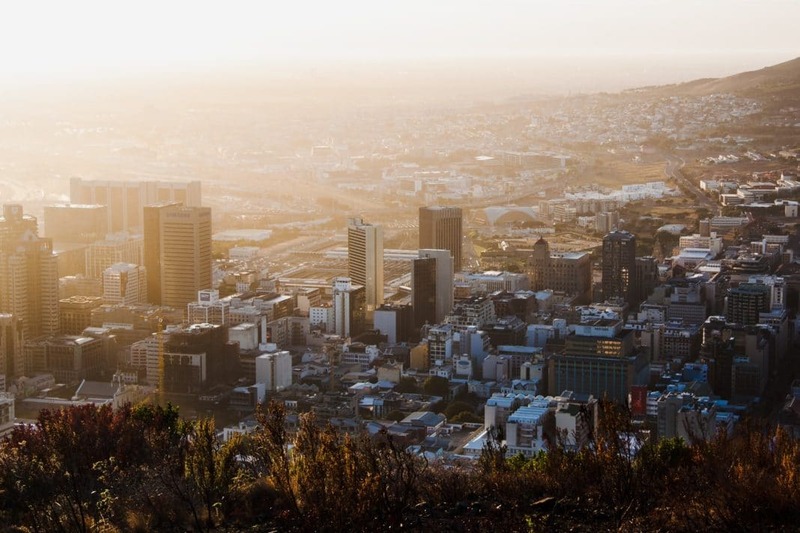 It is home to a bustling city life that is like many other cities throughout Africa. This city, however, does have a deeply rooted history. The divided history that plagued South Africa is one that has been well preserved. There are plenty of museums and landmarks that help showcase how far this city has come. When you get to South Africa, there are a couple of destinations that you must check out. For starters, the capital of South Africa, Cape Town is a great place to explore through. There is plenty of vibrant city life for you to experience. For example, you must make it a point to stop by the Bo Knaap neighborhood. This neighborhood features a colorful row of homes that are strangely unique. Travel photographers, you will undoubtedly want to snap a couple of pictures for your memory book. Next, make sure to make your way over to Robben Island. Robben Island is where you will find the infamous prison that Nelson Mandela once called home. In addition to that, there are plenty of other political prisoners who were captured here as well. The history that this prison holds is one that is simply fascinating as well. If you are looking for some adventure in the outdoors, then you must make sure to climb up Table Mountain. Table Mountain is one of South Africa's most natural attractions that draws hundreds in numbers. Here, you will find incredibly stunning views of the Cape of Good Hope. You will also see the beautiful city below you that makes for a distinct Skyline. A couple of ways are available for you when it comes to getting to the top of Table Mountain. If you are an avid hiker, then fill up your water bottle for a wonderful hike to the top. If you would much rather ditch the walking, then the cable car is available to lift you up as well. However you choose to visit, Table Mountain is easily one of the best things to do in Cape Hope. Kenya is another popular destination that you should not miss out on. 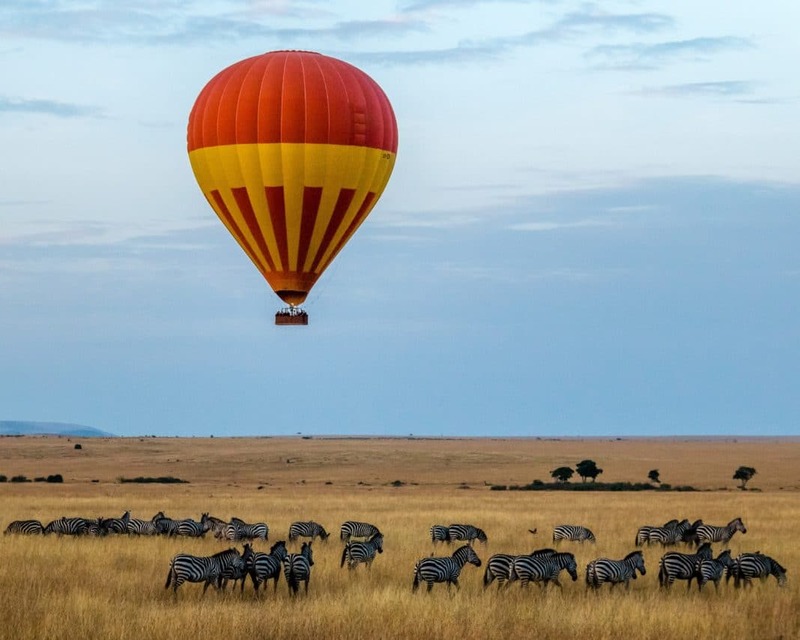 Kenya is easily one of the best places to visit in Africa. What makes Kenya such a popular draw is the fact that it is home to nature at its finest. For starters, the wildlife here is simply stunning. Here you will find the Masai Mara National Reserve. The Maasai Mara National Reserve is located in the southern part of Kenya. Every year, tourists from all over the globe come to this reserve to witness the beauty that calls itself home here. The abundance and eclectic range of wildlife is certainly something that you can not miss out on. Some of the fantastic wildlife that you can expect to find here include the majestic lions. There are also remarkable rhinos who are known to scatter around the plains as they charge throughout their day. In addition to the National Reserve, one of the coolest things to do here is to get to know the Maasai people. The Maasai people are a fascinating group who have so much to offer. 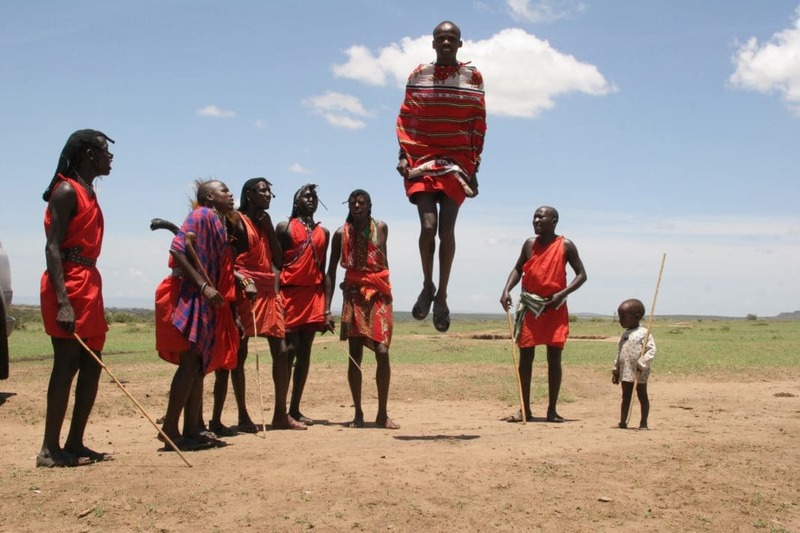 The Masai Mara culture is downright beautiful. Not only that, but their customs and dress of iconic red attire are certainly features that make them stand out as a culture. When you are here, make it a point to get to know the culture by infusing yourself into the Maasai lifestyle. One thing we are certain you will find is that the hospitality of the Maasai people is something that is incredibly difficult to duplicate. The Masai are some of the most welcoming people that Africa has to offer. With so much beauty, culture, and nature here, we are sure you will fall in love with Kenya. Without a doubt, it is easily one of the best places to visit in Africa. If you are a lover of the outdoors, then a destination that you absolutely must visit is Victoria Falls. Victoria Falls is an incredibly mesmerizing waterfall. It is located right on the Zambezi River. 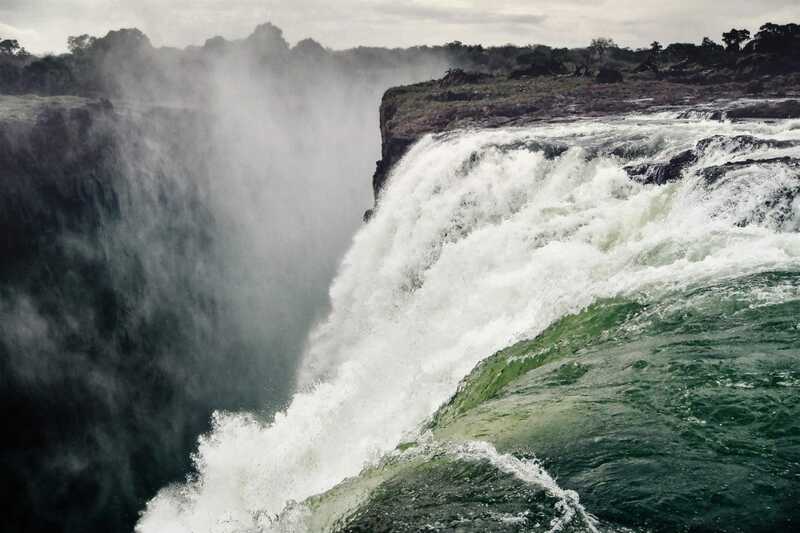 However, the falls itself spans both of Zambia and Zimbabwe. Getting to the falls is rather easy. There is a straight shot road that will take you right to one side of the falls for easy observation. A quick drive across the bridge will take you to the other side of the falls where you can see it's panoramic views from there too. When it comes to visiting Victoria Falls, you will want to come during the right time. One of the best times to come see the falls is during the rainy season. The raining season starts from December and goes all the way to March. During this time period, the rivers are flowing with water and when they reach the Falls, you will get a dramatic experience of the falls. Along with seeing Victoria Falls from above, another one of the best ways to experience this Falls is from below. If you are thrill seekers and do not mind getting wet, then you must certainly do this next activity. Just bring along a canoe, or rent one from below, and explore the falls by boat. If you don't trust your canoeing or rafting skills, then you can also go on a romantic cruise beneath the falls. Going on a cruise is a cruise is a great way to tie up any romantic getaway. From its sheer beauty to its overwhelming power, Victoria Falls is indeed a falls like no other. Without a doubt, admiring Victoria Falls is easily one of the best places to visit in Africa. The sheer magnitude of this falls is something that is so overwhelming yet beautiful. Be sure not to miss out on it. 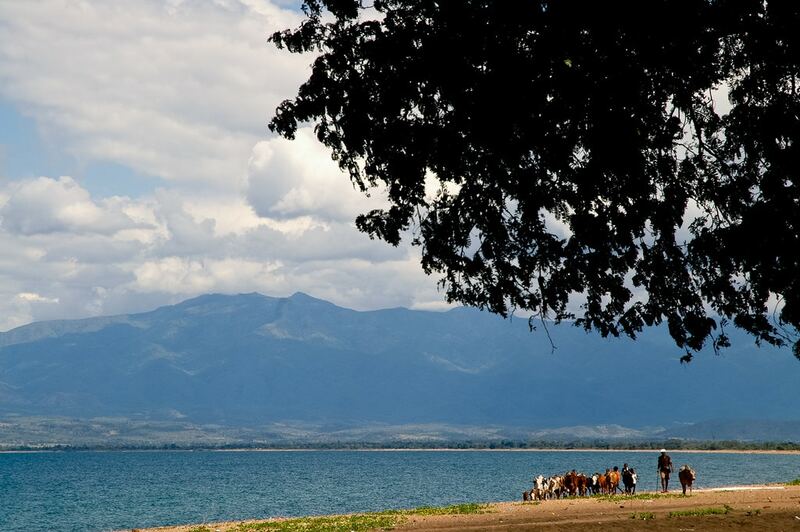 Another fan favorite destination that is loved by many is Lake Malawi. Lake Malawi is often referred to as the Lake of Stars. This is a tribute to the explorer Dr. David Livingston who once explored the lake. While on his exploration, he noticed twinkling lights from the lanterns of the fisherman who flocked here. This twinkling was a beautiful reminder of stars, thus catching his attention, and creating the nickname of this lake. This Lake of Stars is wonderful for so much more than its name. Currently, this lake also happens to be one of the most beautiful places to visit in Africa. Visitors have plenty of activities to take part in here. For example, you can rent out a canoe and enjoy the beauty that this lake is so well known for. The clear waters make it one of the best lakes to boat on. Speaking of relaxing, the well kept shores will certainly beckon you for some relaxation. This shore is so enjoyable thanks to the beautiful golden sand. It makes for the perfect place to pitch up a tent or beach chair and enjoy. The beauty of this lake extends to beneath the surface as well. Lake Malawi offers visitors the opportunity to observe nearly 1300 different types of fish. Not only that but if you bring along your snorkel gear, you can even catch a glimpse of these beautiful underwater beauties. Without a doubt spending a day lazing away in Lake Malawi is easily one of the best places to visit in Africa. Another one of the best places to visit in Africa is the beautiful country of Nairobi. Nairobi is home to the fantastic Nairobi National park. Nairobi national park is a really unique location. For starters, this wildlife Sanctuary is located just outside of the city limits. When you get here, the unusual site of the beautiful wildlife with the backdrop of the skyscrapers in the distance can be something that is a bit unusual. However, when you get used to it, this popular National Park is simply breathtaking. One of the highlights of the Nairobi National Park is the beautiful giraffes. These giraffes are simply outstanding. The giraffes simply dominate the different sights you can take advantage here. Along with that, you are sure to find other animals that are nothing short of exquisite. Visitors soak in the beauty of the endangered black rhino. They can also see the beautiful lions, leopards, cheetahs, and so much more. When you visit, Be sure to bring along your hiking shoes. There are plenty of walking trails for you explore. Walking trails are a great way to see the undisturbed nature here. Not only that but if you bring along a picnic lunch, there are several picnic sites and campsites for you to take advantage of as well. When it comes time to get back to the city, there is plenty more for you to do here as well. The main city offers a unique glimpse into what life looks like in Nairobi. Stroll around and enjoy the beautiful and colorful culture that surrounds you here. When it comes time to eat, you can take your pick of some of the tastiest street food thanks to the many street vendors. Whatever you choose to do, know that you are sure to have a lot of fun. Without a doubt, putting Nairobi on your itinerary is a must. It is, after all, one of the best places to visit in Africa. This underrated continent is home to so many popular destinations. No matter how long you spend in each country, you are sure to be begging for more time. 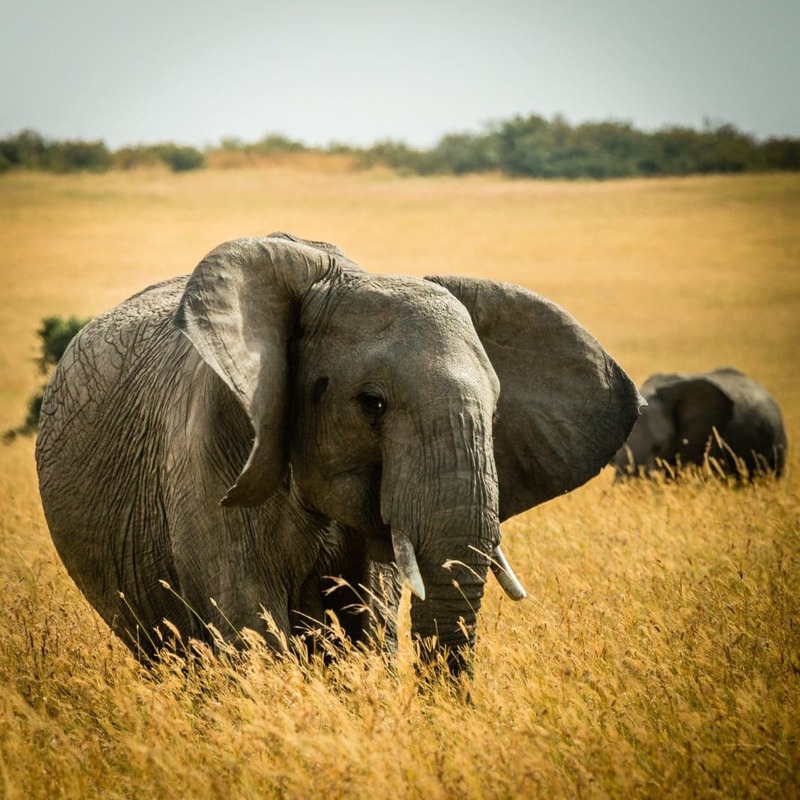 The adventure that awaits you in Africa really is plentiful and endless. Not only that, but it is full of so much fun that is just waiting to be had. Before you head out on your exploration of this beautiful continent, be sure to check out some of the locations on our list. We are certain you will not be disappointed.